It seems like blueberries get all the attention in the health world, but their cousin, the chokeberry, definitely deserves some of the fame. Chokeberries, (or aronia as they are commonly called) are small purple berries found on short shrubs native to eastern North American wetlands—and they should become a household name, considering they contain one of the highest concentrations of anthocyanins and proanthocyanidins in nature. These small but tart-tasting berries are a cousin to the wild blueberry and are also full of the same pigmented chemicals which have given the blueberry it’s rather high status in nutritional medicine. There are two common types of chokeberry. One kind is red, and slightly sweeter, and the other is deep purple or black and these have more of a distinctive astringent, tart taste. But what’s most unique about these berries is that they have the highest amount of antioxidants compared to any other berry! Their ORAC value, which outlines a food’s ability to absorb free radicals, is 16,062! Plus, on average, chokeberries contain 1,480 mg of anthocyanins per 100 mg of fresh berries which is considered quite high. If that doesn’t convince you to add these healthy foods to your diet, then consider this as well. Anthocyanins have been studied for their unique ability to reduce blood pressure, decrease the stickiness of red blood cells, and prevent LDL cholesterol from being deposited in the inside of artery walls. In addition, anthocyanins can also decrease blood sugar, improve insulin metabolism, and decrease the inflammatory response. 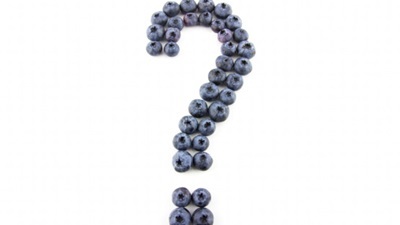 Some research shows that anthocyanins are also effective in warding off cancer and infections. As an antioxidant, the concentration of anthocyanins and proanthocyanidins in chokeberry is unmatched, so it’s vital you add this to your list of healthy foods, stat! This fruit could be used as an excellent agent to control high blood pressure and vascular compromise often leading to the development of heart disease and stroke. The medicinal uses of this fruit throughout history are quite phenomenal! Chokeberries also contain generous amounts of fiber, vitamin C, and carotenoids like lutein and zeaxanthin which are crucial in preventing free radical damage to our eyes. Don’t forget about these healthy foods! Enjoy them as a condiment, in a fruit salad, in a smoothie, in cooking or baking. “Chokeberry,” Nutrition and You web site; http://www.nutrition-and-you.com/chokeberry.html. Park, S., et al., “Aroniamelanocarpa and its components demonstrate antiviral activity against influenza viruses,” BiochemBiophys Res Commun. October 11, 2013; 440(1): 14-9. Ciocoiu, M., et al., “The involvement of a polyphenol-rich extract of black chokeberry in oxidative stress on experimental arterial hypertension,” Evid Based Complement Alternat Med 2013; 2013:912769. Taheri, R., et al., “Underutilized Chokeberry ( Aroniamelanocarpa , Aroniaarbutifolia , Aroniaprunifolia ) Accessions Are Rich Sources of Anthocyanins, Flavonoids, Hydroxycinnamic Acids, and Proanthocyanidins,” J Agric Food Chem. August 26, 2013. Kokotkiewicz, A., et al., “Aronia plants: a review of traditional use, biological activities, and perspectives for modern medicine,” J Med Food. April 2010; 13(2): 255-69.